The University of Cincinnati College-Conservatory of Music Jazz Orchestra celebrates the legacy of jazz trumpeter and bandleader Maynard Ferguson in concert at 4 p.m. on Sunday, Feb. 3, 2019, in Corbett Auditorium. Guest artist Steve Patrick, who has previously performed with Maynard Ferguson, joins the CCM Jazz Orchestra for the performance. Patrick has played on more than 4,000 recording sessions including albums, film scores and television, and has been a member of the Nashville String Machine for more than 15 years. He can be heard on artist albums such as Carrie Underwood, Marc Broussard, Vince Gill, Take 6, Colbie Caillat and more. He has performed and toured with Aretha Franklin, Paul Simon, The Temptations, Glenn Fray and many more. Maynard Ferguson came to prominence playing in Stan Kenton’s orchestra before forming his own band in 1957. He was known for being able to play accurately in a remarkably high register on trumpet and for his bands, which include the Birdland Dream Band, High Voltage and Big Bop Nouveau. His albums with Columbia Records include Primal Scream (1976) and Conquistador (1977), which resulted in a top-10 single “Gonna Fly Now” from the movie Rocky. View his complete discography online. Ferguson was also noted for adapting to musical trends that evolved from the 1940s through the 2000s — from big band swing and bebop to cool jazz, jazz/rock and fusion with classical and operatic influences. 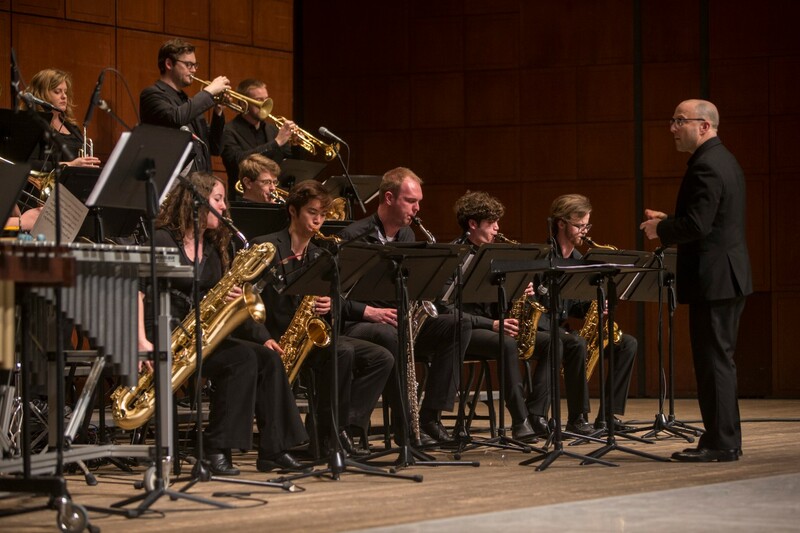 The CCM Jazz Orchestra performs the best of Ferguson's music in concert on Sunday, Feb. 3. Event details are below. Tickets are $15 for general admission, $10 for non-UC students and FREE for UC students with a valid ID. General admission and non-UC student tickets are on sale now. UC students can obtain one free ticket each with valid ID beginning Thursday, Jan. 31.